And again the cherry blossoms!! How beautiful its flower and how rich its fruit!! 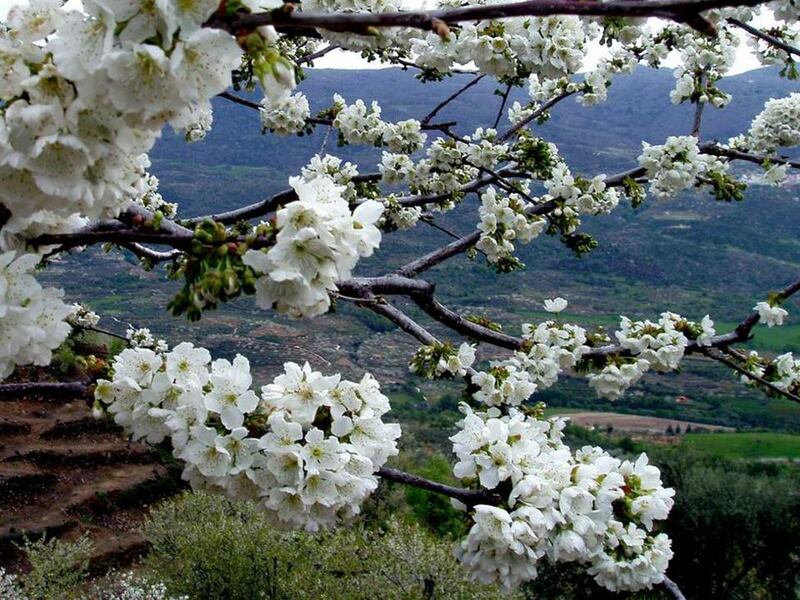 Indeed, once a year and for a few days, you can contemplate the show of the Cherry Blossoms of the Valley of the Jerte. The effect looks like a fairy tale; the whole valley imitates a snowy terrain. It is common for cherry blossoms to occur during the first two weeks of March and the first week of April, but depends on winter weather conditions. This year, for example, has occurred later than the previous. The Cherry Blossom is, above all, a famous celebration that tries to reflect the life of an entire region. Its origin goes back to the 70′s, and since then all kinds of activities have been organized. There is no doubt that the star product is the million and a half cherry trees that adorn their fields. The tourist effect is shocking, not to mention the delicious cherries. At the beginning of May, the first ones will begin to mature. Do you have little Red’s riding hood basket ready?? TEngo un hermano que le gusta ver todos los años esta floración es una belleza . ESpero poder ir a ver semejante preciosidad algún día. Que maravilla, menudo espectáculo que nos ofrece la naturaleza. En este país tenemos sitios maravillosos para visitar. Saludos! !